The increasing importance of the management in the Art Industries has focused the attention on the fundamental role of economic skills, but in order to manage a cultural organization a manager has to pay attention to other non-economic abilities. Everyday newspapers and media talk about the renewed interest in culture and tell about new possibilities to make up a business in the cultural sector, but they rarely explore the qualities that are required to be a good and trained cultural manager. Arts Industries, that are a part of the larger sector of CCIs (for more details about CCIs ), are a field in which management’s soft skills and attitudes as entrepreneurial, leadership and intuition are as important as managerial issues. This article describes the role of Arts Industries and the role of managers in the creation of value. The importance of cultural management is recent achievement, but in a brief period, this profession has reached a high consideration in the CCI sector . In the first paragraph, the article describes the role of Arts Industries and the role of Cultural managers in the process of value creation, focusing on the double goals that Cultural managers should aim at: the quality of the cultural proposal and the need to create economic sustainability for the organization they’re working for. Paragraph two introduces the kind of values that Arts Industries are able to produce. These are both economic and social, because culture can influence not only business, but also communities and territories. Last paragraph of the article concerns some examples of Art Industries and CCIs that have been able to create profits and jobs or social inclusion and social development. CCIs are an important part of our productive system and finally, after years in which their potential has been largely underestimated, this strategic sector for the Italian market is taken in consideration by the institutions. By time, the CCI sector have been distinguished in several sub-areas defined in concentric circles of belonging  and also the European Commission have tried to communicate, with a specific paper, the possible spillovers of CCIs . Yet, the cultural industries have the vital role to create contents, which are used as input by creative and non-creative industries in creating products of value. The role of the Arts Industries and of those who work in this sector is to stimulate the desire for knowledge, the people’s interest and the will of re-elaborate, showing that there are different ways to create product and service of value. The cluster of CCI is an opportunity to create an economic and working growth for a country that makes of the culture and talent its raison d’etre . The application of the digital revolution to the cultural and creative sector has allowed a renewal of the management and organization system of a sector, which showed widely its limits. The cultural characteristic of the Arts Industries concerns a consumption more purely “symbolic” that in made of its products: a person buy a book, a videogame, a ticket for a show primarily for its intrinsic value of content rather than for its material value. Culture and creativity are based not on the material aspect, but on the idea, on the mind-set, on the talent that allowed the creation of a song, a design object or a film. The difference seems minimal, but it has to become obvious especially at the eyes of those who have to know how to manage organizations of this type, based on value that we could call immaterial . From an economic point of view, the immaterial value of CCI produces jobs and generates profits: for example, in UK during 2014 CCI generated a value of 84 billion of pounds (over 94 billion of euro) and employed 1,8 million of workers  . The Arts Industries are actually a chance of development for the Italian cultural and economic sector, but to become truly such important, it is necessary that the focus of cultural organizations in placed on management and its successful features. Future developments of CCI will not concern a leaving from the humanities, but rather a mixture a mutual influence between different sectors such as economic, artistic and scientific . The only knowledge of art history, or economics or computer science will not be enough, managers will need to have cross-sectoral skills in order to communicate with their employees and with people who have different backgrounds. To have success in such new way of working and operating, the work environment will allow a profitable meeting: art and its experts will not close in a rejection of the unknown world of economics and the latter, in return, will be forced to interact with a world of values that are not strictly numerical and economical . The cultural managers have to learn how to talk to these two souls: the passion for the culture and the expertise in administrative management aspect. Arts Industries have the ability to influence numerous types of value, among which is necessary to enumerate economic, cultural and social values. The aim of CCI, in fact, has to be the profit (and in the case of non-profit organization the economic sustainability of the project), but at the same time they have to guarantee a cultural value of their products. On the other side, Arts Industries have the possibilities to create wealth in the communities in which art and culture become a mean of livelihood. New jobs and cultural activities in the urban pattern are the major contribution of CCI in the post-industrial era . The cultural management is more than the application of the theories of management to the CCI. The management is the sum of innate and especially acquired abilities, necessary to govern and run a business, organizing the human, material and economic resources that are available. Many might think that once someone have acquired the necessary skills, it doesn’t matter what kind of company he has to manage. If someone is able to handle a type of organization, is he able to manage also other types? No, he isn’t, because we don’t have to underestimate the complexity of each work environment and especially those in the cultural field . The approach to cultural management should not be defined only as a will to produce profit, it is necessary also to understand the real cultural value of the project in order to not ask too much or too little from the possibilities of the organization. On the other side, the importance of the economic factor poses no doubts: the cultural institutions should not only aspire to survival. They should aspire to increase their revenues. Nowadays, the cultural offer competition from other European and World capitals has become increasingly fierce: the duty of the manager is to fully understand the weaknesses and the strengths of his company, making sure to seize the opportunities that the market can offer . A problem that the Arts Industries managers have to face is about the paternalistic aspect of the Italian culture and its consequences: the lack of accountability. The accountability is an opportunity because it allows a greater responsibility and a reflexion about the company opportunities, it creates a relationship based on a mutual trust with the public and finally allows to attract the interests of the investors. Moreover, accountability can create a major efficiency, because it allows management to understand the eventual problem of the company and helps them to find the right remedial . CCIs, in order to create economic and social values, have to measure their impact in the communities, because only a company that measures its direct and indirect contribution to the society, it’s able to declare a real economic and social impact. The Global Reporting Initiative (GRI), an organization that aims to measure the sustainability of companies and businesses, created standards in order to report economic, environmental and social aspects. Some standards of the GRI Index can be adopted in a medium cultural or creative organization. Probably, the major difficult for cultural managers is to measure indirect economic and social impact on the reference community, but experience and academic research assure that it’s possible to observe returns in some areas as capital, income, tax and tourism. The cultural activities in a district are able to increase the value of real estates, the presence of visitors can enlarge the sales of shops and part of their income flows into the tax revenue. This reflection is also applicable to the tourism and to the possibility to create a territorial brand that is able to attract tourists. From the social point of view, some strategies are able to estimate the social well-being derived from cultural activities. One of the most used is the Social Return On Investment. These are just some brief ideas that demonstrate the importance of accountability. Managers that works in the Arts Industries and in the CCIs need to understand the incredible value of accountability and it’s their duty to create a culture of accountability in the cultural sector. This field, more than others, is characterized by indirect implications that are an integral part of the product offered. For example, the indirect economic and social impact of a festival are a vital part of the festival itself and managers can’t ignore this fact . Managers, in fact, need to measure and they are well aware that data are a resource: data allow to make predictions and to develop ideas. Culture has never felt the necessity to measure results and the consequence is clearly visible: the low level of private investments because of the lack of effective knowledge of the performance of the sector . In Italy, culture and economics are often considered two different and incompatible world, but the implications that culture is able to generate also in the economic sector are massive. Cultural managers have and will have increasingly to look to other productive sectors: culture is, in fact, inter-sectorial and consequently CCIs are able to integrate themselves in numerous value chains. The value chain of CCIs, in fact, derives from two important restraints: the Italian cultural heritage, resource for new creativity and culture, and the education and training of human capital, a strategic action in order to transmit creativity to future generations. The key point of the CCIs’ value chain are conception, production and marketing. These characteristic of the value chain are able to make CCIs a fundamental surplus value, both economic and social, for other types of industries. The conception stage, in fact, is a creative step and also the production phase requires the translation of the creative ideas into a commercial good or service. Finally, the marketing needs creativity in order to generate new channel of promotion and distribution. The value chain of every industry is somehow related with the creativity that derives from culture and education. The development of CCIs is able to create a virtuous cycle of growth also of other productive sector . CCIs are an opportunity but we need skills obtained from different fields in order to create a real cultural and creative compart and not just some excellences in a system that limps. Arts Industries need professionals with managerial skills that are able to analyse a company’s balance sheet, building business plan, knowing how to manage the various implementation phase of a project, planning time, costs and revenues. It is necessary to not improvise, but there is the requirement to set down a method and goals to achieve, by measuring the progress of the path . Yet, in many cases, managerial skills begin to be taken for granted within the CCI. However, the qualities that could be called entrepreneurial are not equally present in many organizations. Especially, knowledge and intuition allow to take important decision and to assume the risks of those decisions. Risks that can go from a short-term goal not achieved until the failure of the company itself. The contemporary world has taken particular characteristics and the context in which we live and work has been defined by some experts with the term VUCA, acronym of Volatility, Uncertainty, Complexity and Ambiguity. The challenge that a context of this type provides every manager is to begin, pardon the pun, to have the courage to risk of developing a risk appetite. These words do not aim to invite all managers to become gamblers, but they are necessary to convey the importance of learning also from failures. For those managers who have met the challenge of the failure, the American context coined the expression “twice-born”. Steve Jobs, for example, was a twice-born . Then, we can’t be afraid to try. Italy, about it, should abandon the atavistic fear of failure, seen more as a personal defeat and a lack of leadership than as a series of coincidences and negative events. Finally, the leadership has to be another essential feature of CCI’s managers. An Arts Industries’ manager, in fact, has to be able to convince and lead not only those who have an economic background, but especially those who have explicitly humanities skills. In order to do that a manager will prove to be driven not by a paternalistic behaviour, but from the desire to manage at best and to convey to the audience the cultural value of the company’s products or services . We are not inviting managers to ignore the profit, but we are simply recommending an approach appropriate to the circumstances in which CCI operate. If Arts Industries work enhancing the contents of their products and services, at the same way the managers leadership towards their assistants should be based on shared values, both economic and cultural. The manager has to set targets for himself, for the organization and for his employees; he has to review the organizational and decision-making process in case of problems or uncertainties; he has to include human resources, of whom he is responsible, in the planning phase in order to increase the participation and mutual trust . The cultural manager has to be able to combine an economical and managerial approach, typical of a scientific training, to a humanistic approach, typical of the arts and culture world. Only a proper balance of the two areas can lead to success the cultural and creative industries and their workers. The aim of Arts Industries, in fact, is not only cultural or economic, but it is a balance between two different and complementary souls. The only economic boost can cause the loss of cultural value of a product or a service, while the only cultural leverage is not sufficient to achieve a profit that ensures the survival (in the most unfortunate case) or the organization’s growth. The introduction of a mentality and an attitude based on economic footprint within the cultural sector is no longer a hope but a certainty. The CCI have to demand the same space and the same prospects of growth and attention that are granted to other Italian industrial sector. The Arts Industries should not be considered again a future prospect, but as a present certainty, that deserves appropriate development policies. From their point of view, cultural and creative organizations have to obtain two specific aims: the quality of the cultural proposal, ambition of everyone works as a professional of culture, and the need to respond to market’s demand, without altering their being. Only willing to accept the supply and demand market, without having to rely on the public funds, the CCI can find the real raison d’etre and create the necessary independence to be able to really produce substantial impacts with their actions and projects. The challenge for the cultural managers is the development of the ability to turn creativity and passion in a long-term project, with strong foundations and aimed to an economic return . In this sense, no longer the artists, the creatives or the players have to chase the limits imposed by available resources for activities, but it’s the management that has to confront every day with the need to drive the creative impulse toward forms of business. Cooperation, flexibility and response capacity will be necessary to deal with adversities and the actions of the managers will be driven by the ability to translate a reality in profound changing. The CCI’s manager has to be a creative person himself, he has to be an integral part of the ideation process and not just the one who chooses on which market and to what audience propose the product. Management has to develop from a science and become art and creative production . In Italy culture is a kind of “welfare ante-litteram”, it is wellness because it stimulates the well-being and therefore helps to live better and allows the development of thoughts, ideas and creativity. A stimulating environment, full of cultural, historical and artistic references is the best context in which develop proposals and projects . Only the CCI that are able to read the close connection between culture, territory and communities can create value for themselves, for others and to improve their range of products and services. Cultural and creative industries have among the main objectives the creation of economic value and the generation of profit. There are numerous examples of companies that were able to deduce from culture and creativity the strength and the motivations in order to create new occasions of business. In every story, the abilities of the founders has been the courage to believe in the potential of culture and traditions and the passion for their job. An example of creativity, crafts and culture comes from the society the “Oca Bianca e altre storie”. The company deals with the creation of images of angels in plywood and in 2015 were produced over 14.000 objects, distributed through the branch e-commerce and trade shows. The idea of this business was of the founder and it came from the farming tradition of using the dried corn leaves to create decoration and ornaments. The culture of a territory and its traditions, united to intuition and determination have allowed the company to create its own business area and to provide jobs for six professionals, to which are added other seasonal employment contracts. The story of the Oca Bianca is an excellent summary of how CCI’s managers skills should include creativity and courage to take risks, in addition to market knowledge and the necessary tools to be able to build its own market niche. In this case the artisan culture, product of years of experience and passion handed down from generation to generation, is the culmination of a project of marketing and communication developed by a start-up called “Italian Stories”. The company had the insight to create a network composed of a number of atelier and workshop disseminated widely throughout the country. Italian Stories proposes guides, visits and work experiences for tourists and people interested in living the experience of the artisan profession. The ability of the creators of this business is contained on the understanding that only an offer based on a wide network of laboratories and an effective storytelling can attract the curiosity of all those tourists in search of emotions and experiences from which to gain knowledge and fun. The brilliant idea of a student of the Politecnico in Torino has been the creation of a web platform on which allow students to upload and download class notes and summaries. The company holds a 20-30% of the price fixed for each black of notes and from 2011 to 2014 students registered in the site have become a million. The initial investments of 1000 euros for the creation of the first platform has led the company, which has more than 10 employees, to invoice almost 250.000 euros in 2014. The idea that allowed this business takes culture to create an economic return, it promotes the exchange of ideas and opinions among the various costumers of the website and it encourage a horizontal diffusion of knowledge. Who said that the CCI should only concern fields like ICT or consulting services or design. Where is the tradition and the culture of an ancient craft, such as beekeeper, there may also be creativity and genius. The culture of a territory with an ancient agricultural vocation, the study and personal skills can give rise to innovative activities, maybe not in the method, but surely in the approach. In 2010 the owner of the company, in fact, thanks to a loan of 35.000 euros, decided to acquire beehives and machines in order to start a production of a new type of honey, left to age in barrels of French wine. In 2011, the business had a turnover of 8.000 euros, but after three years is already nearly to 200.000 euros. The creativity that come from the knowledge of traditions and culture of an area can be applied to all sectors, even those that appear more static. If there is one area that needs to live constantly in culture and creativity, that is the tourism in art cities. The case of Tomato is an example of how the right ideas are the basis for business that is able to make an adequate financial return. Thanks to a small loan of 60,000 euro from the province to redevelop a part of a historic building in the district of San Salvario in Turin, the owner of Tomato manages to create an innovative hostel for holidays dedicated to sharing experiences. In 2014, the occupancy rate maintained always above 85% and the activity obtained 215,000 Euros. Italian cities are cultural attractions that need to be valued and on which everyone can bet if he has ideas and creativity. The creation of value is not only economic, but it can also be related to the desire to create social cohesion within communities. Culture and creativity are often carried out by active citizenship projects and recovery of urban and social fabric. The value of many projects has to be measured on the impact that generates on the territory. Management skills can make the difference especially in activities that are developed from the bottom, because they are necessary to guarantee the survival and the continuation of culture activity for the well-being of the community. The music has definitively a high component of creativity and culture and the Orchestra Senza Spine has understood these characteristic by creating a youth association of social promotion that aims to improve social inclusion and social development projects. From 2015 the Orchestra has its fixed place in the “Mercato Sonato”, a place provided by the city of Bologna as a part of an urban regeneration project. The associative consortium Officine Solimano consists of three associations active in the fields of cinema, theater and music. The signed agreement with the municipality of Savona has allowed the recovery of a former industrial structure and the creation of a cultural space open to the community. In 2015, the associations held 325 days of shows for a total of 885 events, the operation allowed the creation of 11 permanent job and other 15 non-permanent and in three years the Officine have hosted 117.000 spectators. The Napolixenìa project aims to the restoration and the re-appropriation of the monastery of S. Nicola from Tolentino, granted on an extended free loan to the association Altra Napoli Onlus. The intention is to create a place of culture and hospitality through the enhancement of the local heritage, the construction of tourist and commercial activities and the creation of jobs for young inhabitants of the Spanish Quarter. The culture is often participation from the bottom and this is the case of Retake Roma, a NPO active in the fight against degradation, in the enhancement of public goods and in the support to street art as a cure against neglect. The association prepares an annual social report of its projects and of its activities and engages in training and education to the respect in schools. The experience of the Friche Belle de Mai (Marseille) teaches that from the recovery of former industrial sites in order to create cultural projects and activities, may be born creative and innovative ideas. In this space there are 70 associations and 400 between artists and creative people, and every year more than 300,000 people come here to watch performances and to have fun. These are just some of the many examples that show the ICC as a tool for the creation of both economic value and entrepreneurial activities, and as a means of conveying more strictly social and community values. The strength of these projects lies surely in ideas and intuition, but without a good organization and without the necessary managerial skills, intentions of this type would fail very soon. Their flourish, however, shows that the management applied to the culture can really create employment and wealth even in a long-overlooked area as that of culture. Cerquetti M. (2010), Dall’economia della cultura al management per il patrimonio culturale: presupposti di lavoro e ricerca, in Il Capitale culturale, Studies on the Value of Cultural Heritage, pp. 23-46, Macerata. Siepel J. Camerani R. Pellegrino G. Masucci M. (2016), The Fusion Effect: the economic returns to combining arts and science skills, Nesta. Monti S. (2015), Futuri culturali: una visione prospettica, in Collezione da Tiffany. Galloni C. (2011), L’impresa di parlare di impresa culturale, in Tafter Journal. Caust J. (2010), Does the art end when the management begins? The challenges of making ‘art’ for both artists and arts managers, in Asia Pacific Journal of Arts and Cultural Management Vol 7, pp. 570-584. Napolitano M. R. (2015), Valore della cultura e cultura del valore. 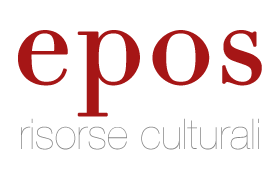 Riflessioni per il futuro del Bel Paese, in Il Capitale culturale, Studies on the Value of Cultural Heritage XI, pp. 371-393. Bernabè M. e Monti S. (2014), The notion of accountability and its usage in the cultural sector, in Tafter Journal. Monti S., Bernabè M., Casalini A., Polveroni A., Quadrelli F. (2015), Cultural accountability. Una questione di cultura. Monti S. (2016), Verso un’industria della cultura, in Collezione da Tiffany. Emanuele E. F. M. (2015), Aspetti di gestione di un’impresa culturale, in Arte e finanza, Edizioni Scientifiche Italiane. Agusto G. (2007), Creatività e gestione nelle imprese culturali, in Tafter Journal. Spata V., Masi A. (2013), Definizione e sviluppo del Marketing Culturale, in Lo statuto dell’opera d’arte, Gruppo 24 Ore, Milano, pp. 13-37. Trimarchi M. (2014), The value of culture. Neverending debates need views and tools, in Tafter Journal.